Incapacity can come as a result of a number of circumstances and is not exclusively confined to the elderly generation. Whilst many of us associate incapacity with degenerative diseases such as Parkinsons and Alzheimers, equally, one can lose capacity through some sudden trauma to the head, for example, one only has to think of Michael Schumacher and his tragic skiing accident. 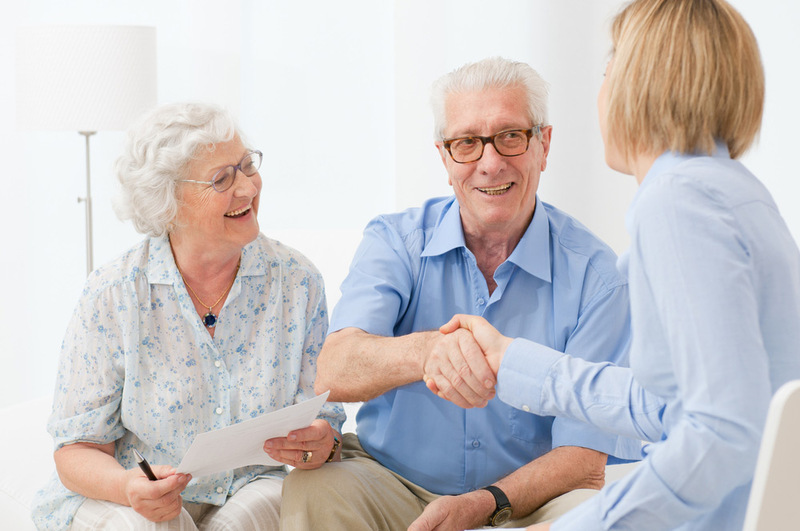 A Power of Attorney is the most effective means of combating incapacity. When an individual has already gone past the point of incapacity, they are no longer able to grant a Power of Attorney. Instead, Scots Law offers three main avenues of recourse to a family seeking to make decisions on behalf of an Adult suffering from incapacity. This is a procedure which allows either an individual, Local Authority or another organisation to apply to the Sheriff Court to access and manage the funds belonging to an incapable Adult. This is the lowest level of intervention offered under Incapacity Law in Scotland and would be suitable when the incapable Adult’s affairs are relatively straightforward. An Access to Funds Order would allow for the Applicant to be able to apply the Adult’s funds to pay for day to day expenses such as utilities, living expenses and, potentially, care charges. Access to Funds Orders can also be utilised to request a lump sum to pay off any specific debts or one off specialist equipment for the incapable Adult, such as, perhaps, a stair lift. The Access to Funds Order would not be suitable where the incapable Adult’s affairs are more complex, for example, where there might be shareholdings, investments or a property requiring to be sold. In such circumstances an Intervention Order or a Guardianship Order are likely to be more appropriate. This is a Court appointment which authorises an individual or organisation to act and take a one off action on behalf of the Adult with incapacity. For example, a property may need to be sold and a signature required on the legal document transferring ownership. Alternatively, it might be the case that specific forms will require to be signed to have the Adult placed in a Nursing Home. Within an Intervention Order the powers of the intervenor are specifically restricted solely to those required in order to implement the specific action being taken on behalf of the incapable Adult. The most comprehensive Order available under Incapacity Law in Scotland is that of a Guardianship Order. This is a Court appointment enabling an individual to make decisions on behalf of an Adult with incapacity and can perhaps be compared in its end results to a Power of Attorney. There are, however, some key differences between a Power of Attorney and a Guardianship Order. The most important of these differences is the cost. A Power of Attorney can be put in place for a relatively modest expense, however, a Guardianship Order involves a Court process and the production of Medical Reports. The cost of the same, in our experience, can be as much as £5,000. Furthermore, whereas a Power of Attorney runs perpetually for the rest of the Adult’s life, a Guardianship Order, typically, is only granted for a set period of three years. Unfortunately, the expense of setting up a Guardianship Order needs to be incurred every three years to renew the same and, while these funds could have been applied to the care of that Adult, instead they are being squandered on the necessary expenses of setting up a Guardianship Order. It should be said that Legal Aid may be available in order to assist with the costs of any Court procedure in relation to incapacity, however, this firm does not offer Legal Aid. As aforementioned, there are Medical Reports required where one is applying for a Guardianship Order and whilst one of these Reports would typically come from the Adult’s GP, where the Guardianship Order relates to the personal welfare of an incapable Adult a Report must also be obtained from the Chief Social Worker of the Local Authority. Unfortunately, there is quite a waiting list for the Local Authority to prepare the required Report and this is not quite compatible with the time limits set down in the legislation underpinning the Law of Incapacity in Scotland. In particular, the Medical Reports and Chief Social Worker Report must be written within thirty days of the date that the Guardianship Application is sent to the Court and this can be quite troublesome to choreograph. The Application process for any one of these Orders is, unfortunately, a long and time consuming, stressful and complicated process. If you would like further information on this subject or, indeed, would wish to apply for one of the aforementioned Orders, please do not hesitate to contact us here at Hastings Legal by telephoning 01573 226999.